Cold brew can be made easily at home if you have the patience for the long steeping time. One way to make cold brew in your kitchen is with a french press. If you have ever had hot coffee from a french press, you know how much flavor this brewing method provides. 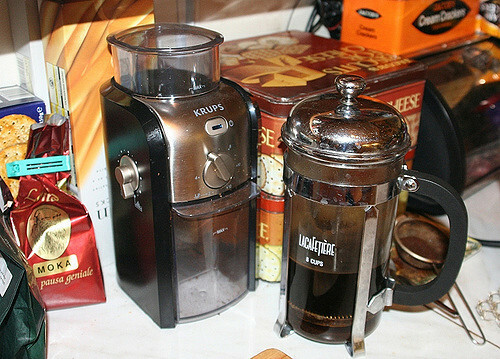 A french press is designed to use the steeping method just like cold brew does. That is why it is the perfect vessel to make cold brew at home. We will guide you through what you need and the steps to do this yourself. 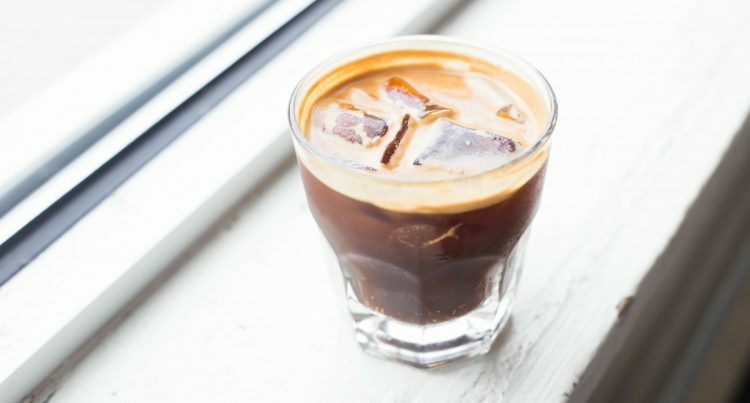 It’s easier than you think and it will satisfy your cravings for smooth, strong cold brew. The most important factors for brewing cold brew are the grind used, the proper ratio between coffee and water, and the steeping time. Here are some tips to help make brewing cold brew at home easier and ensure you get the flavor you’re looking for. Make sure you use a coarse grind. This works best for developing flavors during the steeping. 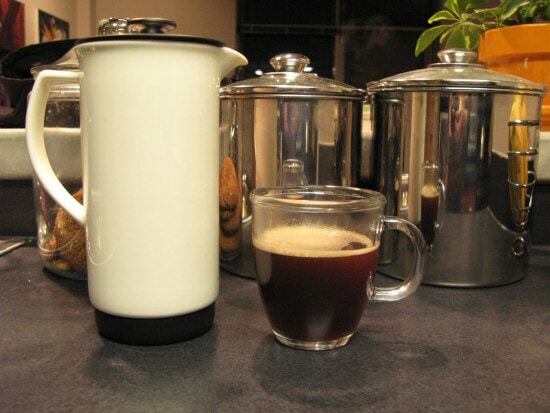 For the steeping step, you can leave the french press out at room temperature or in the refrigerator. Just make sure you use cold water; it is called cold brew, after all. Since the steeping time is so long, start your cold brew the evening before you want to drink it. This way it will steep all night, and the cold brew will be ready when you wake up. We will show you what you need if you want to make a full french press of cold brew. If you want to make less than that, just keep your water and coffee grounds in a 3:1 ratio. Now let’s talk about supplies. Measure four ounces of coarse ground coffee and put it in the bottom of the french press. 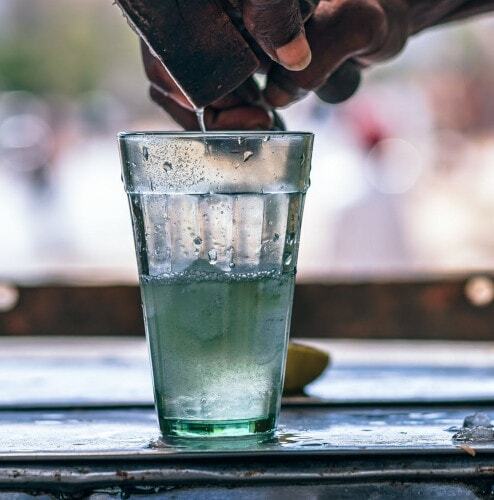 Pour the three cups of cold water over the grounds evenly. Stir the water and grounds together, making sure all the grounds are wet. Let the cold brew steep inside the french press for between 12-20 hours. Tip: The longer you let your cold brew steep, the stronger the flavor will be. This is a good way to adjust the flavor based on your preferences. 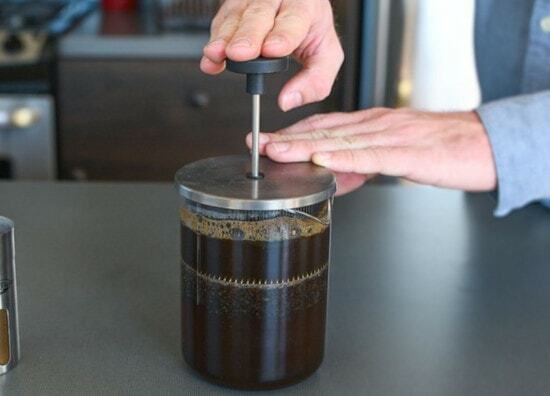 After steeping, press the filter lid on the french press down to fully finish brewing the cold brew. 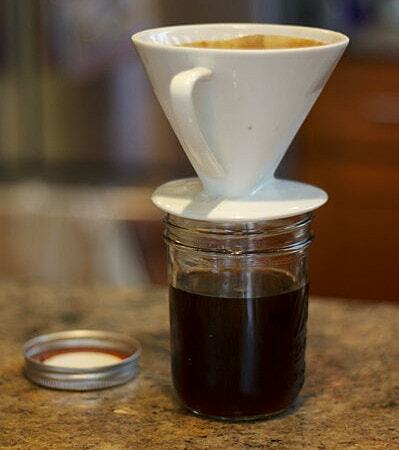 Pour the cold brew into the storage vessel you want to use, or just store it in the french press. Either way works. Now you’re finished and free to enjoy!